Welcome to Glen Helen cottages and Mount View cottage. 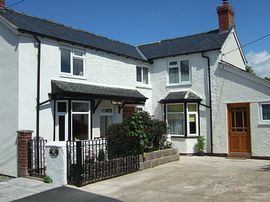 Comfortable, cosy, convenient cottages of character. 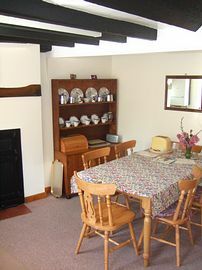 All cottages have been tastefully converted from 18th century dwellings. One cottage originally belonged to a farrier. 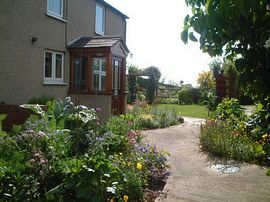 Set in interesting gardens with a summerhouse retreat. 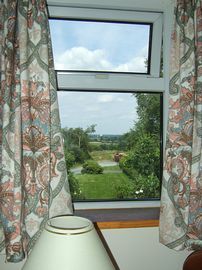 Excellent 4 star quality within the beamed, warm cottages. Unwind on local walks on the Shropshire-Welsh Marches. Stroll to Wales and back after tea. Explore National Trust castles, gardens, steam trains, canals and local heritage. Enjoy fishing, golf and pony-trekking in the area, or just relax and experience the inspiring Shropshire fare served in the local inns. Try a stress-free break at short notice. Walks from the front door to wildlife, canal and limestone heritage sites. National Trust Powys and Chirk castles, Erddig and Attingham nearby. Comprehensive information booklets on attractions and activities. Hosts offer local knowledge and guidance on things to do in the area. 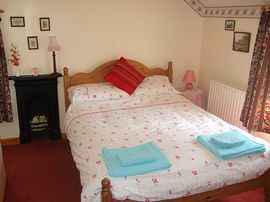 Heating, lighting, towels and bed linen all included in rental. Full central heating and additional heating. TV with freeview, DVD and VHS players plus radio. Microwave, fridge, freezer, electric cooker, washer and dryer. Separate patios with garden furniture. Rural public transport and village amenities. These terms and conditions are for guidance purposes. The cottages are for the number of people indicated [up to 3 in cottage 1 or 4 in the other cottages]. If guests intend to bring pets then this must be discussed with the owners at the time of booking. The cottages are to be left in the condition in which they were found. An access statement is available on our website. Pets by arrangement in two cottages. No smoking in the properties. Interesting plantings in the gardens, grassed and paved areas with garden furniture. Summer house retreat. Isfryn, Stargarreg Lane, Pant, Oswestry, Shropshire. Past the Co-op village shop on your right, continue up the hill and round right hand bend. Next Left turning is Stargarreg Lane [opposite Cross Guns public house]. Glen Helen cottages are first property on left visible from the lane, Mount View is next property. Parking is in front of each property. Follow A5 and signs for Oswestry. After 10 miles at Wolfshead Roundabout at end of dual carriageway take first exit to Knockin. Follow directions as from Llynclys Crossroad above. Follow A483 to Oswestry for about 10 miles. Through Llanymynech, over border, up hill into Pant. Stargarreg Lane is first right after main village sign, opposite Cross Guns. Open all year - including Christmas. Cottages will normally be available from 4.00p.m. on the day of booking. We ask guests to vacate the cottages by 10.00 a.m. on the day of departure. Q - quality award from local tourism group.